fresh engine oil at the top/left engine side. Even when cruising with 50mls it loose oil. Removed SC and i see where the oil went. Oh damn! Where is it coming out from though? 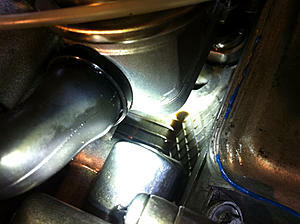 Now that you removed your s/c, take a look at the wiring harness for the throttle body and the recirculating air flap. I found mine to be cut due to excessive heat behind the engine. Dont know. 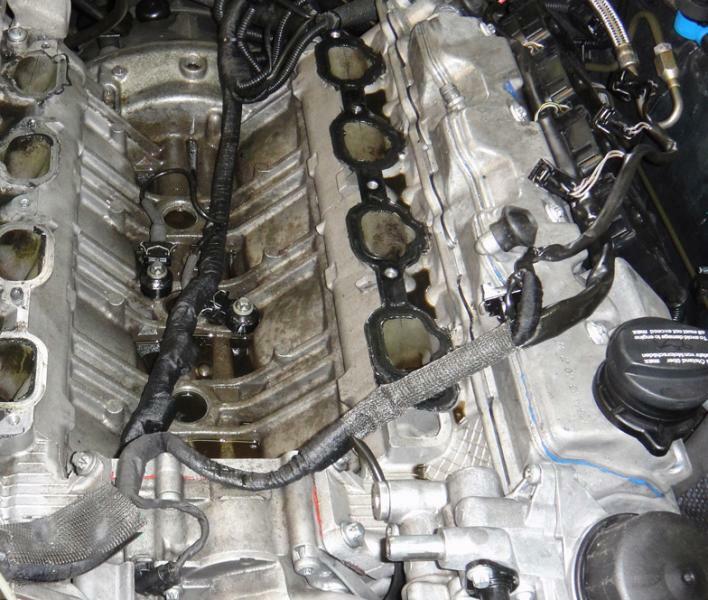 I think the valve cover gasket is the problem. I will change all gaskets and check again. I have no faults. Should it throw error when there is a cut ??? Well, it did not throw any on my car. My s/c wasnt engaging, star gave me code "M16/7" recirculating air flap fault. So before I bought the part, I checked wiring from the comp to the plug, and found the brocken wires. The wiring harness for the throttle body and the recirc air flap are routed behind the engine, tie rapped against the engine and transmission. It gets super hot back there, so over time it will burn through the shielding and eventually to the wires. My car is an 03 with 110k miles, so maybe Mercedes noticed and rerouted them on other years. But wouldnt hurt to check. Will save you headaches if you catch it before it happens. ok, will check that also. But first i need to find the oil leak. Yes, thats priority. Thats a lot of oil for it being from the valve cover gasket. I changed the valve cover gasket and other gaskets. Now there is no oil but this hole (yellow marked) makes me nervous. Its open but there is no oil coming out when engine is running ??? I see. Does it end somewhere or does it go somewhere? Can you take a pic of top view? My 03 s55 is throwing out code m16/7, I'm going to have to remove the S/C and check out the harness like you mentioned to see if its cut. HOw did you fix your problem and prevent it from happening again? I know its a very old thread, but any info would be grateful.